Are you an experienced archer or bow hunter who needs a place to practice your shot? Do you want to learn how shoot a bow and arrow? Located close to Burlington, Triggers and Bows is the archery range for you. We welcome visitors of all ages, with something for everyone regardless of your goals or experience. For beginners, you can give archery a try with lessons, youth programs, social events or birthday parties. If you’ve been shooting for years or are looking for some more target practice, join one of your archery leagues or sign up for an archery range membership. We have 10 lanes waiting for you, plan your visit to the archery range at Triggers and Bows today. You don’t need to be an experienced archer to join in the fun, we offer private archery lessons and youth programs to teach you how to shoot a bow and arrow. Our experienced staff will teach you the fundamentals of archery, range safety and different shooting styles using recurve or compound bows. We provide all of the equipment you need, including lane rentals with equipment when you’re ready for some solo practice. Become a Triggers and Bows archery range member for 24/7 range access close to Burlington. 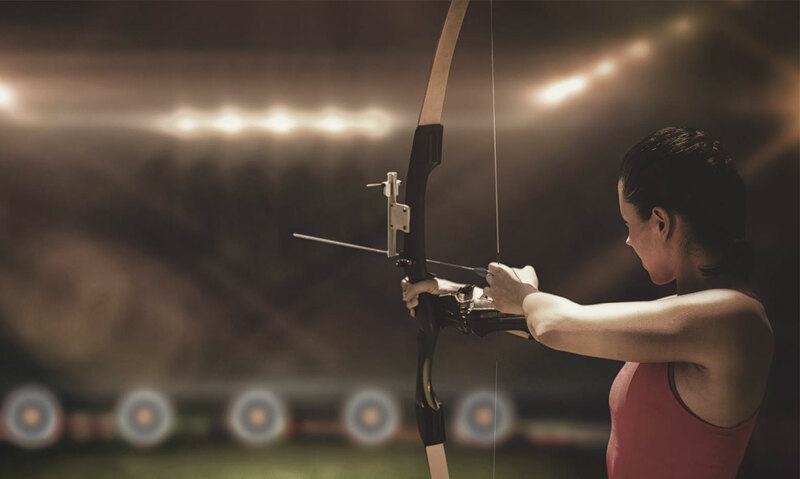 Relax in between rounds in our member lounge, and put your skills to the test in our competitive archery leagues. With 10 lanes available in our state-of-the-art facility, there’s no better place in the area to mark your shot and enjoy the thrill of archery. Become a member or book your visit today.